This is, without a doubt, the coolest Sketch technique you’ll see all day. At the time, a couple designers were figuring out ways to really stretch Sketch to its absolute limits. We wanted it to work for us, not against us. 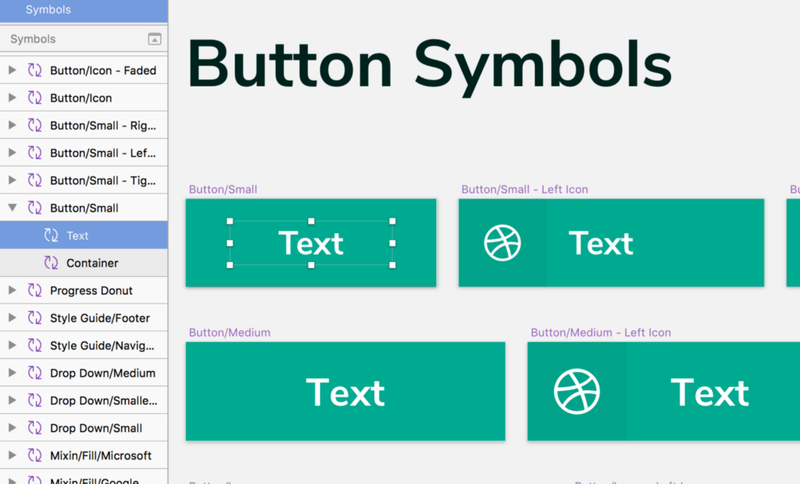 So with nested symbols in our toolboxes, we set out creating hundreds of symbols out of things like colors, border, and text styles, and masking just about everything so we could quickly toggle between various styles in things like our fancy new button symbols. WOO-WEE, DO I HAVE SOME GREAT NEWS FOR YOU! 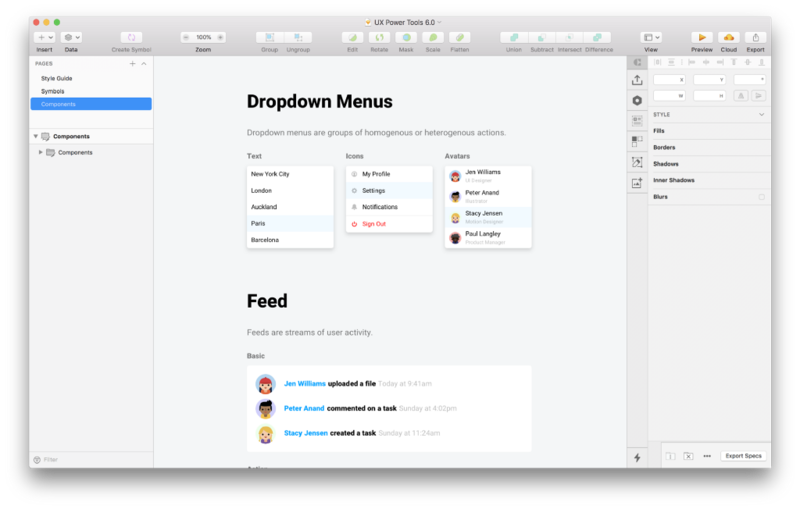 Sketch is changing the way overrides work. 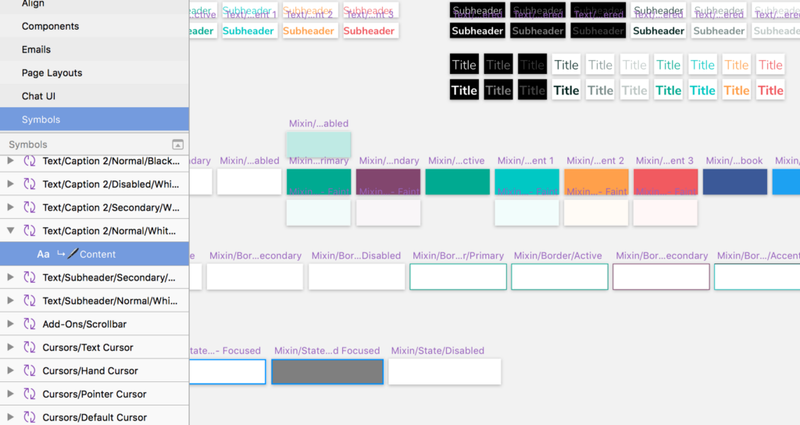 Well, not changing…but adding a new way to apply overrides to symbols. 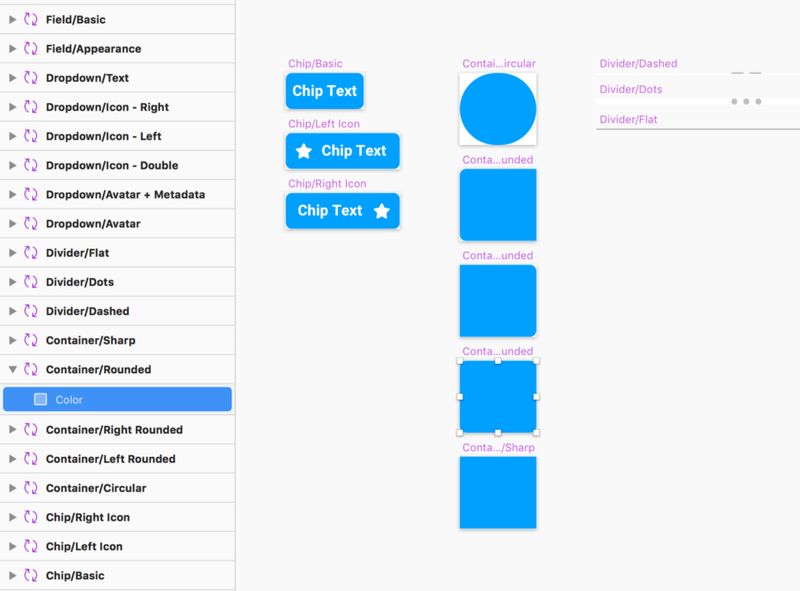 Instead of just overriding nested symbols (like an icon inside of a button), now you’ll be able to override the TEXT STYLE and COLOR. There is a god. 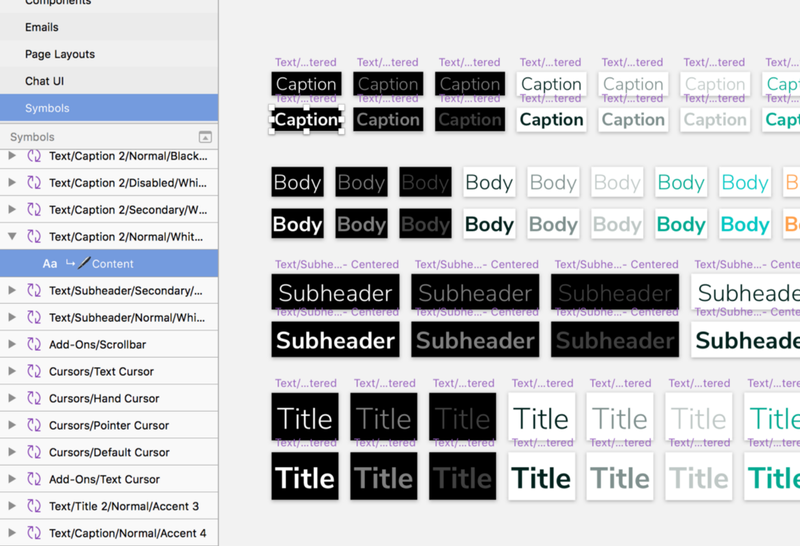 You must use text styles and layer styles when you build your symbols. Let me say that bigger. You MUST use text styles and layer styles. 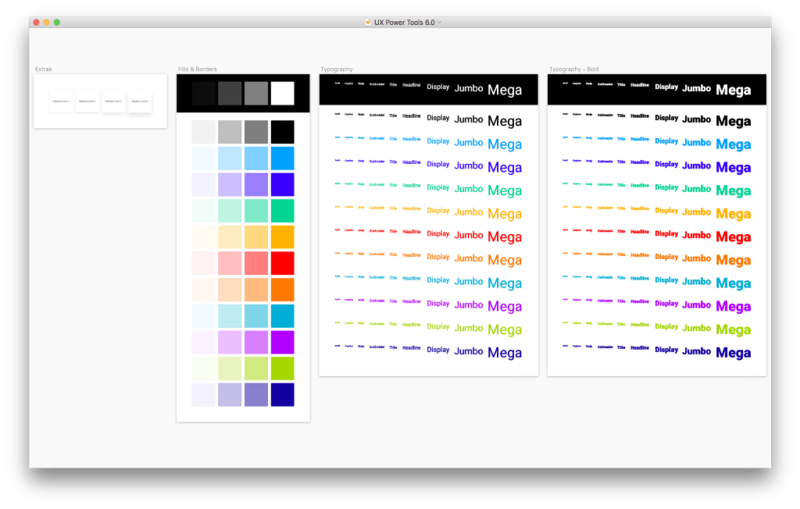 That’s the only way Sketch allows you to override the text and color attributes within a symbol. Fair question. Other design apps have this kind of flexibility. Frankly, I don’t like this freedom. It makes it really easy to get inconsistencies in your app when you can update text/colors all willy-nilly without sticking to some guidelines. It’s very dangerous. I’ve always been a little curious as to why more people don’t use text styles and layer styles. If you ask me, it’s absolute best practice and you’re missing out on being a much more efficient and consistent designer. However you feel, this is still a dramatic improvement. It dramatically reduces file size. It minimizes room for error. I’m not gonna say “I called it” but check out #4 one of my articles from last May 2017. Screenshot for you lazy people. I’ve been using the private beta for a while now and it’s like using a completely new product. I love it. The best way to show off style overrides is by showing you a before and after of two common elements: icons and buttons. 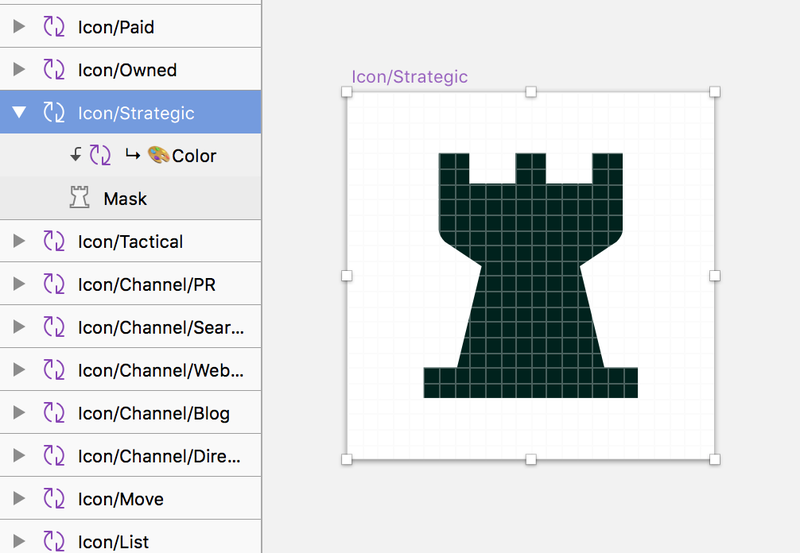 BEFORE: This icon symbol uses a color symbol mask for overrides. AFTER: This icon symbol just has a layer style applied to it. 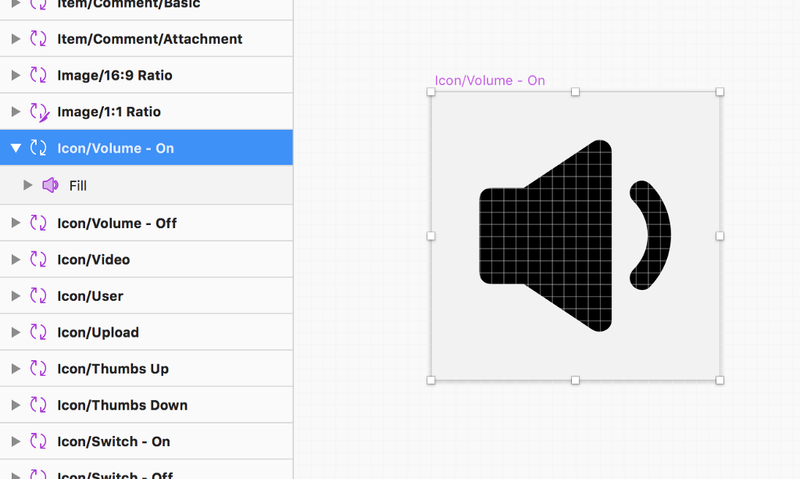 Because I applied a layer style to the volume icon symbol, Sketch 52 will allow me to override that style with any other saved layer style I’ve created. This is available for download at the bottom of this article! If you’ve made a saved style, you can use it as an override. It’s really that easy. This is cool, but REALLY SUPER ANNOYING. I’ll answer that for you. It’s VERY amazing. Soooooo when can I get it? I STRONGLY recommend you start a project from scratch in this new version. It’s completely new, and it’s best you explore in a clean file. Don’t wanna create all of those text/layer styles yourself? 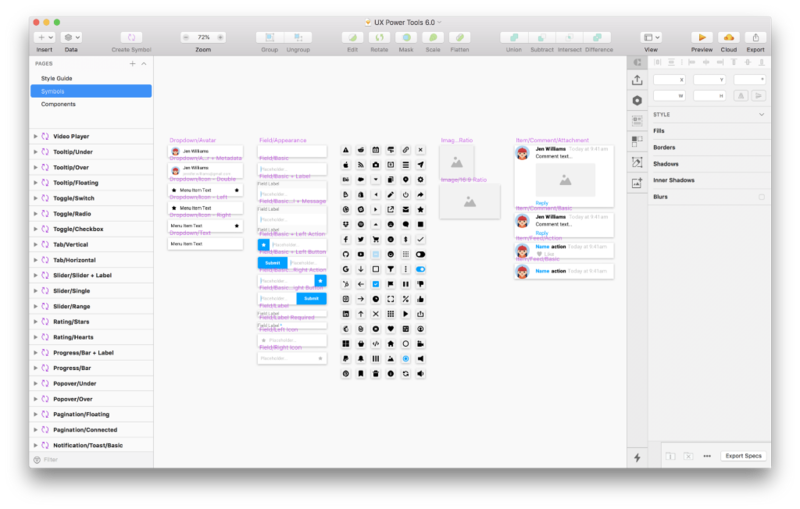 We are actively working on an entirely new version of UX Power Tools that we built from the ground up so that it utilizes all of the new features coming in Sketch 52. You’re gonna lose your minds. 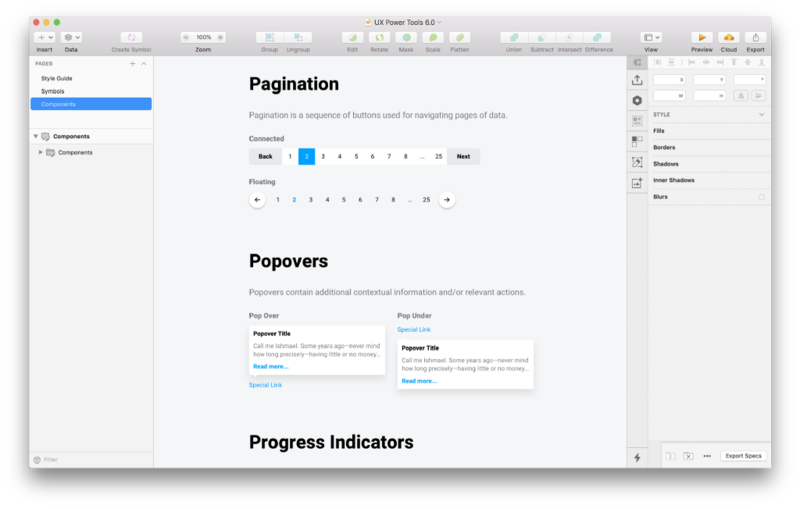 As you’re reading this, we are actively designing the new UX Power Tools, but we wanted you to have something to play with as soon as possible so you get a feel for these amazing new Sketch 52 updates. We’re basically releasing the product now so that you early adopters can play with it, test it, and help us decide what else we should build into the system. Don’t be shy about feedback! 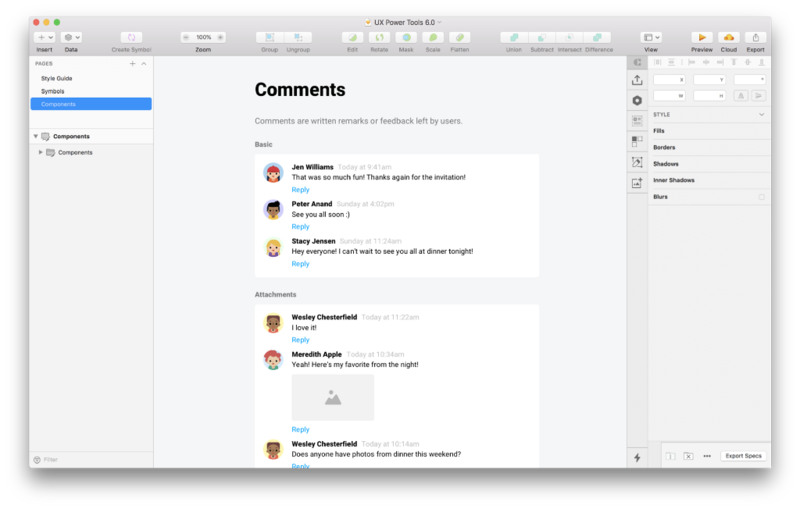 We are real product designers using this on real client projects, so are completely bought in to making this the greatest Sketch resource possible. When I’m not building design systems, I’m the lead designer at Innovatemap. 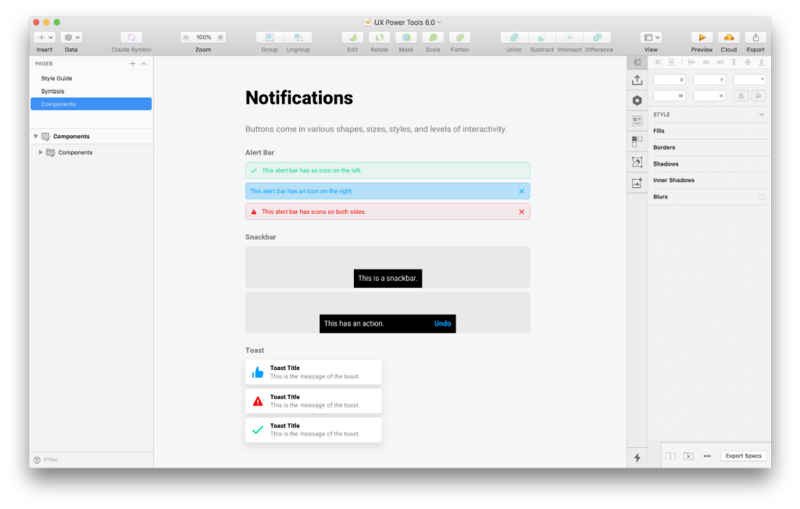 The Sketch Update We’ve All Been Waiting For, plus a BRAND NEW UX Power Tools! was originally published in UX Power Tools on Medium, where people are continuing the conversation by highlighting and responding to this story.